The allround comfort package for your accounting! Test our accounting software for free and save a lot of time! 60 days. The complete version. Create all the documents that you need for your company in only 1 minute. Record and manage your receipts digitally via email or smartphone. You have access to your contacts, prices and your portfolio at any time. Work in a team and assign roles and permissions to your employees. Write invoices and take photographs of your receipts with the smartphone app. Configure your customized dashboard with statistics and important KPIs. Billomat automatically reminds your customers of open claims. Whether it is Shopify, Salesforce or Dropbox – Billomat fits your workflow. Billomat has some nice features, such as being able to use custom invoice templates, and importing & exporting products and customers somewhat easily. Billomat is a CRM lacking the most basic features. It's design is terrible. The UX is really bad. With every update, it seems to get worse. The worst: their customer "support" takes forever to respond and is extremely incompetent. Thanks to the Billomat accounting software you save time every day! The accounting software that everybody understands. You can access your accounting software from anywhere. Thanks to the integrated DATEV export you can work as a team. Below are some frequently asked questions for Billomat. Q. 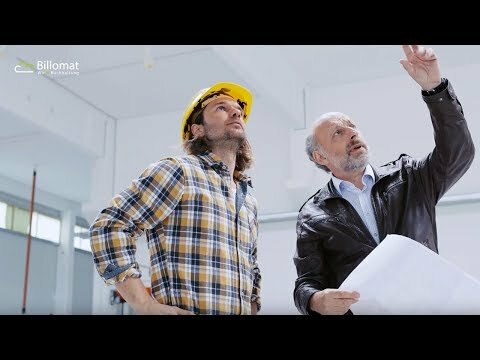 What type of pricing plans does Billomat offer? Q. Who are the typical users of Billomat? Q. What languages does Billomat support? Q. Does Billomat support mobile devices? Q. Does Billomat offer an API? Yes, Billomat has an API available for use. Q. What other apps does Billomat integrate with? Q. What level of support does Billomat offer? Q. Which apps is Billomat compared to most often?